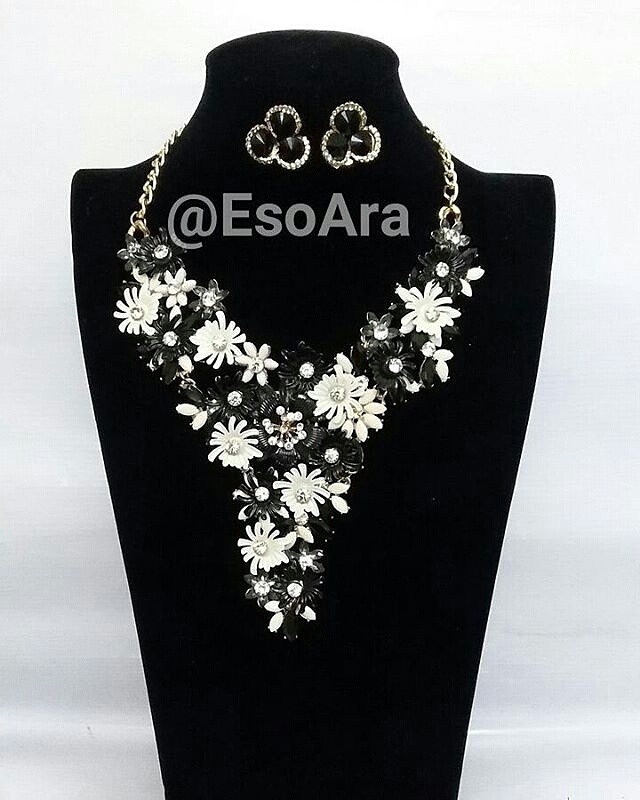 This Black and White statement neckpiece by @tolulopeesoara is so adorable. It’s a must have for your weekend outings. Look outstanding in this beautiful black and white statement neckpiece. We got your back always….let’s hook you up!